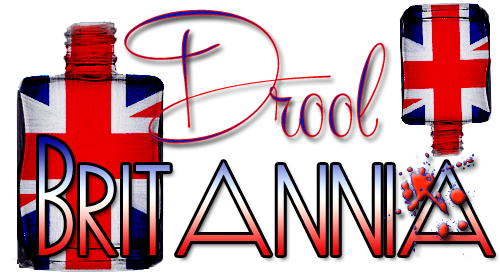 Today sees the start of a series I've threatened for a while - Drool Britannia, dedicated to celebrating and showing off the best of British nail polishes. Let's forget the bit where I said this was going to happen in February lol. 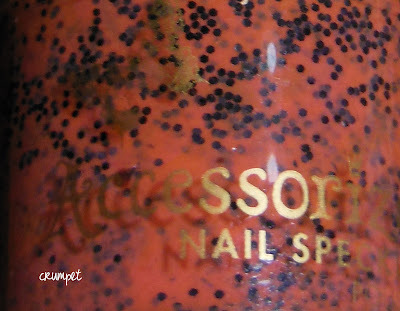 Accessorize is a quirky little UK brand. It's a spin off from Monsoon, and it's a girl's paradise - hats, bags, hair stuff, stationery ..... and polish. 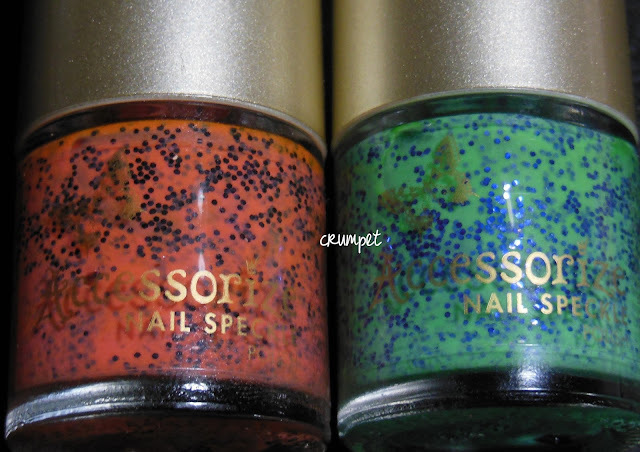 They do cute little SMALL bottles of polish, which although reasonably priced, start to seem expensive when you compare how much you get in them to a Barry M.
Anyway, they've always been quite innovative in what they do. 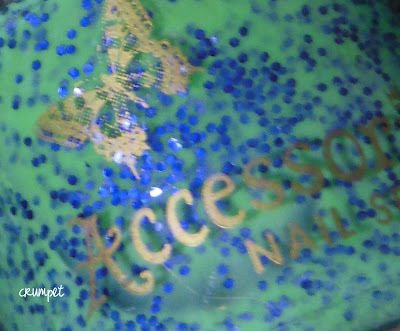 If you're looking for something a little different, special or sparkly, Accessorize is the place to hit on the High St.
Dragonfly is the green one, and it's a really interesting shade of green - quite cold and melodic. 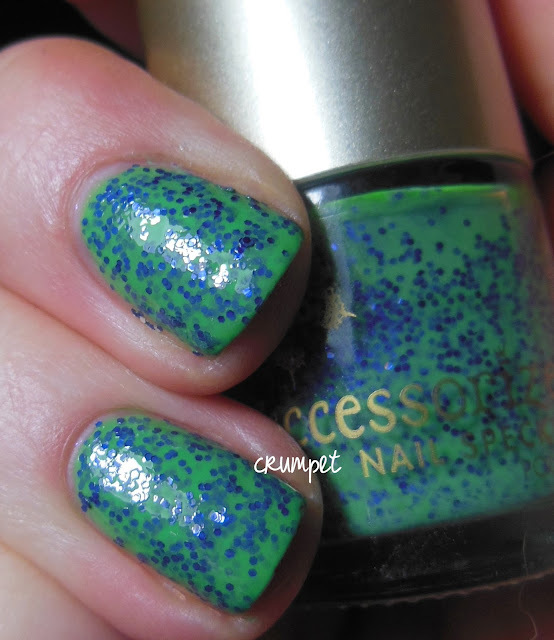 There is a really lovely tone to it - and you know I don't do green! The glitter in this one is a lilac-purple and the 2 clash beautifully. 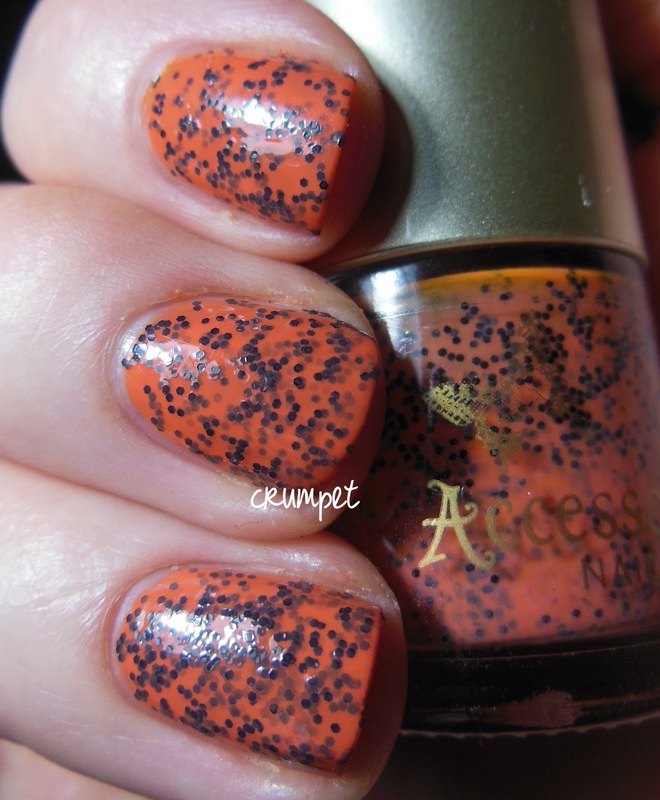 The only issue is that within a month I ended up with 2 other polishes very similar to this, and it suffers by comparison due to a lack of complexity. Bumblebee is .... not yellow. Lol. 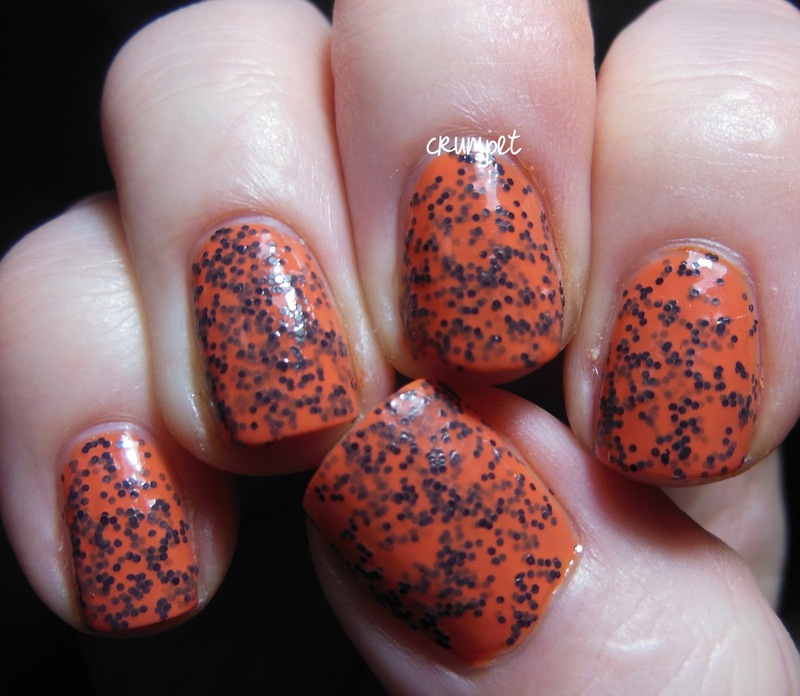 I don't understand why it's called Bumblebee when it's orange and black, but hey ho! 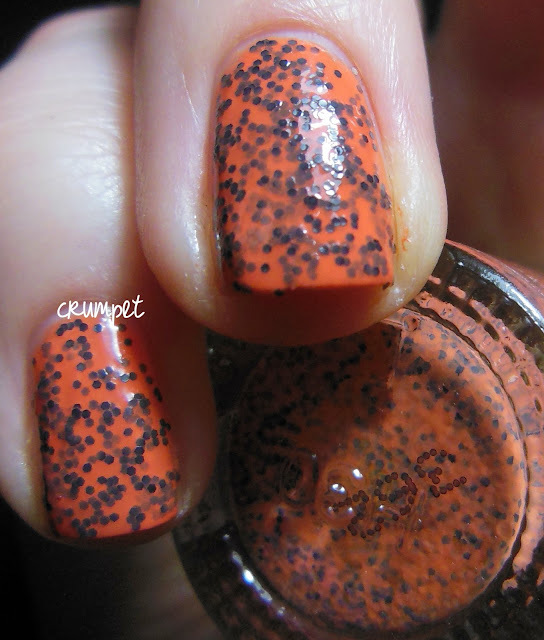 The orange in this is a lovely deep burnt shade rather than a neon bright. I can also see this working well at Hallowe'en. You'll see both glitters look quite dense. 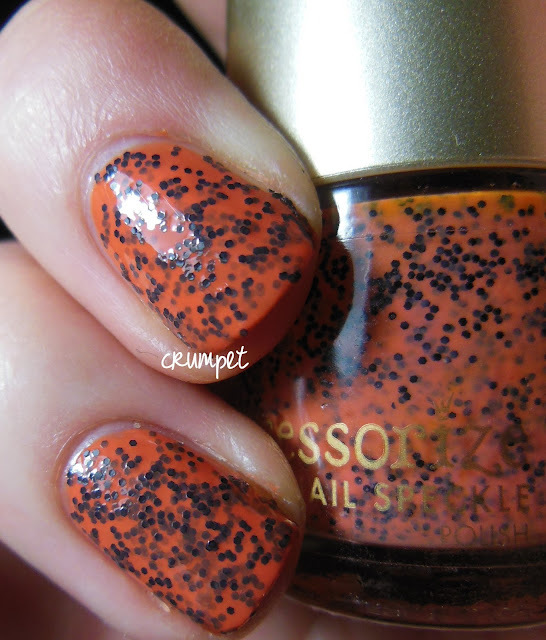 I used 3 coats as I wanted total opacity without undies. For a sparser look, just pick some undies of a similar colour, and you'll be good to go. Neither of these are complex by Indie standards - it's just standard, one size hex glitter, but it's great to this sort of stuff on the High St at a good price point. And if you can't find the High St, you can also pick them up on the Accessorize website HERE.